Gaumard, aka Gaumard Scientific, is a Florida based company that provides innovative products to the healthcare simulation community. Gaumard also has key offices located in Texas and is most well known for their Noelle product, which is arguably the world’s leading high-fidelity birthing manikin. Although Gaumard began its high-fidelity computer-based product line of manikins in the 90s, they trace their roots back to 1946 when its founder utilized surgery-based polymers to fashion medical simulators for healthcare education. HealthySimulation.com is dedicated to providing the latest Gaumard news and #MedSim resources from around the world. To follow along, sign up for a our free medical simulation email newsletter, follow @HealthySim on Twitter and @HealthySim on Facebook, or join our HealthySim LinkedIn Group! Other manufacturers in the Manikin industry are Laerdal and CAE Healthcare. In 2017, Gaumard started offering audiovisual systems for recording and debriefing simulation learning experiences through their Care in Motion platform. Other manufacturers of AV recording systems include EMS SimulationIQ, B-Line Medical, Level 3 Healthcare, KBPort, and more. The company sells simulators through its own representatives in North America and through 200 distributors in 70 countries. Gaumard Scientific Company has produced patient simulators for healthcare education for more than 60 years for the military, emergency medical services, major teaching hospitals and nursing schools. Gaumard is known for their product innovation especially with OB Birth Simulators like Noelle and Victoria, and Pediatric Simulators which recently include the Super Tory and the Hal S2225. A few years after building a synthetic human skeleton Gaumard designed a childbirth simulator to aid in the education of village midwives located around the world. Various task-trainers of shapes and sizes were developed over the years which you can witness from their company history page. However, the release of Noelle s565 in 2000 was a serious turning point for Gaumard Scientific. Soon afterwards Gaumard released a full range of tether-less manikins, which today have become the s3201 Hal series, the S3000 Susie series, the Baby Hal S3010 series and the S3005 pediatric series. At IMSH 2012 Gaumard also unveiled the Surgical Chloe high-fidelity manikin. The company also provides nursing simulation scenarios as well as other healthcare education learning curriculum. Gaumard is now an international vendor with manikins working in medical simulation centers around the world. The company supports the simulation in healthcare community by attending key simulation conferences. 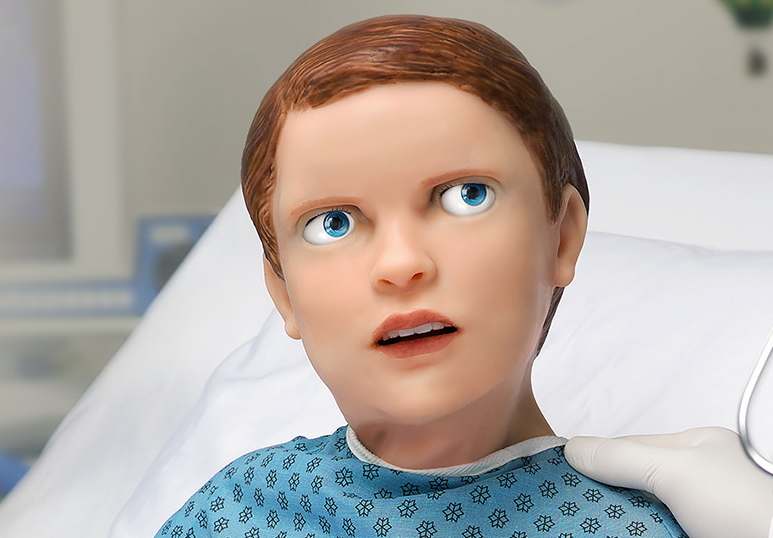 Uniquely, Gaumard, allows for the free download of their manikin user interface software as well as easy access to all their patient simulator manuals, which makes for easier learning. Learn more by visiting Gaumard.com! Gaumard Unveils Advanced Pediatric Simulator HAL S2225 at IMSH 2018 — And He Moves! Sim Tech Training Workshop ‘SimGHOSTS 2015 Dubai’ Early-Bird Registration Ends Soon!